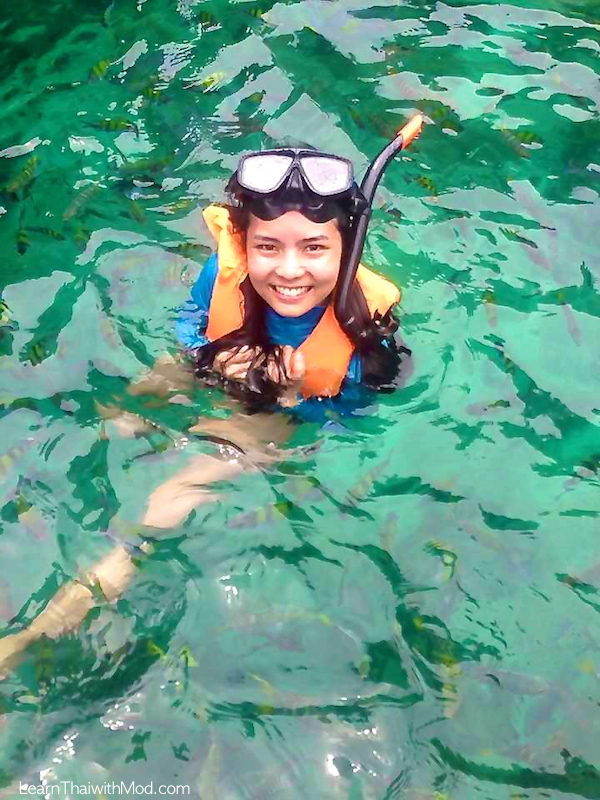 Lipe island (เกาะหลีเป๊ะ) is a part of Tarutao Marine National Park (อุทยานแห่งชาติหมู่เกาะตะรุเตา). It is located in the Andaman Sea, around 40 kilometers from the town of Satun province or 22 kilometers off the shore from the Pak Bara Pier. The park borders the Muko Phetra National Park on the north and Malaysia sea border in the south. The park covers an area of about 1,490 square kilometers including islands and sea. Of the total 51 islands, there are seven large islands; Koh Tarutao, Koh Adang, Koh Rawi, Koh Lipe, Koh Klang, Koh Batuang, and Koh Bitsi. These islands have been formed into two major groups; namely, Muko Tarutao and Muko Adang–Rawi. Ko Lipe is considered to be the most important island of the Adang group, as it has the largest permanent settlement, and is considered the hub for transportation between the other islands and to and from the mainland. 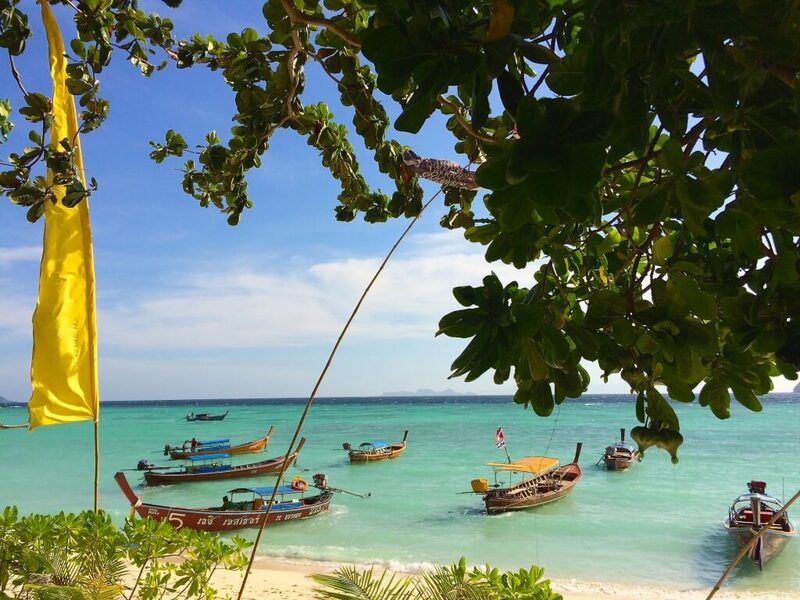 About 800 people live on Ko Lipe year round. It is most famous for the diving and snorkelling that is available in the surrounding waters, the beautiful beaches, great weather and its laid back atmosphere. There are 4 main beaches & a few smaller coves. Pattaya beach is Koh Lipe’s main beach. It’s no surprise, with 1.5 kilometers of absolutely exquisite white sandy beach and awe-inspiring crystal clear blue waters. Pattaya beach is located along the south of Koh Lipe and is the closest beach to the island center (Walking Street) and is home to most of the accommodation on Koh Lipe. It is my favourite beach on the island. It is not too busy yet not too quiet so I chose to stay in a resort on this beach. 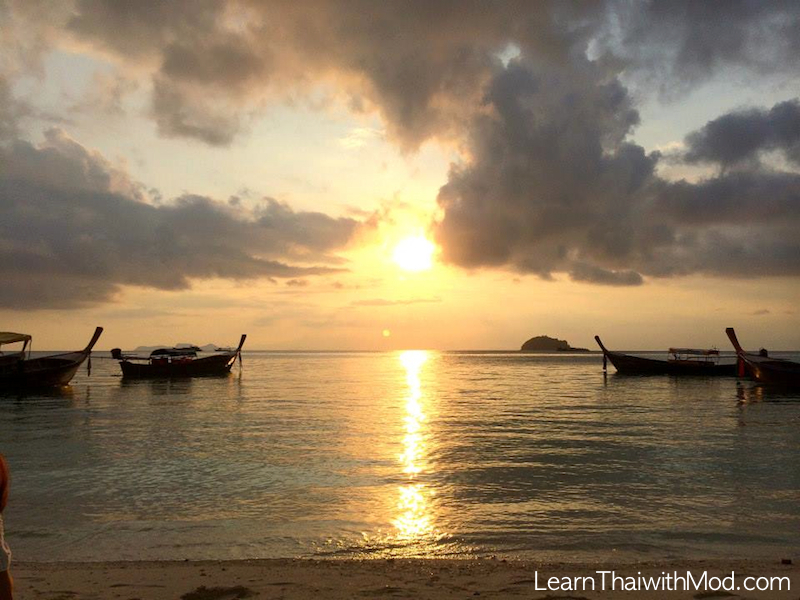 It is a 2km stretch of white sandy, beautiful beach located along the west side of Koh Lipe with some of the most amazing sunrises in all of Thailand. It also has the best snorkelling in the island around the drop-off that runs along Sunrise beach on the East coast. Sunrise in front of my resort on Sunrise beach. 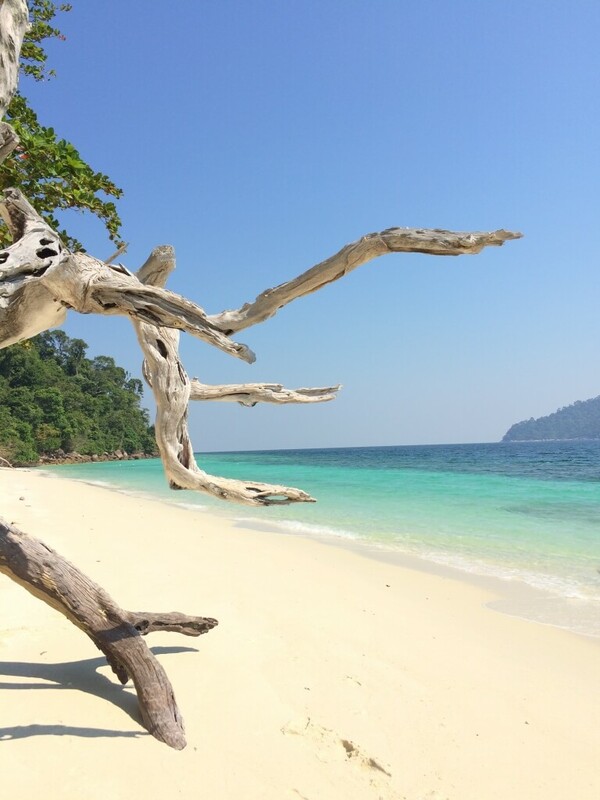 It is a small half kilometer bay along the west side of Koh Lipe facing the Butang Islands. Sunset Beach is the most chilled out area on Koh Lipe, it’s quiet, less visited, and excellent for relaxing and getting away from the hustle and bustle of everyday life. There are a few restaurants and bars on the beach and is a short 10 minute walk to Walking Street (Koh Lipe’s main area), so whatever you want, you can have. Located on the northern tip of Koh Lipe, facing the island of Koh Adang. It is a picture perfect beach with a spit of sand jutting into the water forming a wonder of nature. Walk around the corner and you are on Sunrise Beach. 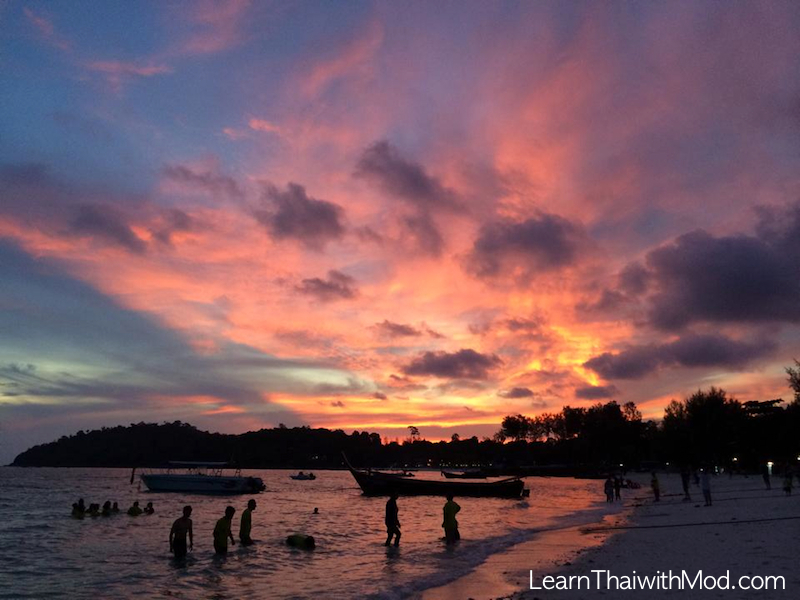 Karma Beach is the perfect place for catching the sunrise as well as the amazing Lipe sunsets! The famous view of Karma beach. I chose to go to the ‘near island trip’ which took me to 4 or 5 islands. It costs 650 Baht per person with everything included: a mask and snorkel, a pair of fins, life jacket, bottled water, simple lunch and fresh fruit. You can also hire a private long-tail boat for 1,500 Baht. – Rawi Island, one of the biggest islands in the group with some great snorkeling to be had from the beach. Here you can chill out on the beach and eat you packed lunch before visiting another 2 or 3 recommended snorkel spots on the way back to Lipe. – Koh Hin Ngam (beautiful rock or the black pebble island) some strange twist of nature has formed this unique island and given it a beach completely made of beautiful marbled black smooth pebbles, most all other islands in the Butang group have white powder sand! 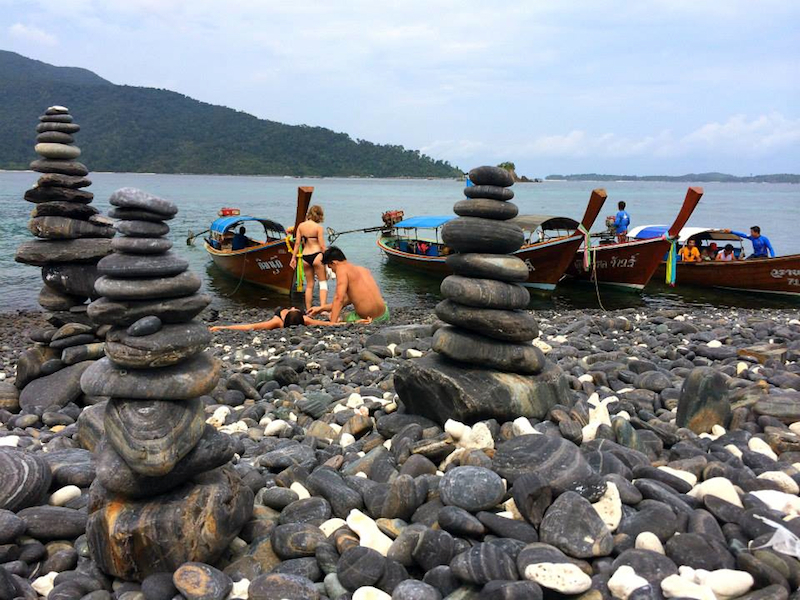 Koh Hin Ngam is really covered with pebbles! 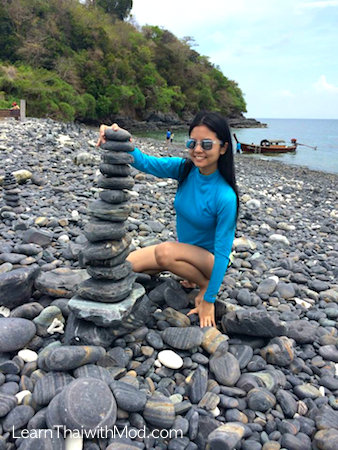 It is said that if you make a pile of 12 rocks and you make a wish, your wish will come true. A curse will fall on those who remove any pebbles. – Jabang pinnacle a submerged rock formation that rises up from the ocean floor to a peak 3 meters below the surface. Don’t worry, there is a buoyed line that goes right around the site so that you can hang on if there is a current and not worry about drifting off to Malaysia..! I saw a huge variety of underwater life just a few feet below the surface; there are hundreds of different species of reef fish like clown fish, angelfish, lion fish, sea orchins, sea cucumber, crustaceans and some beautiful soft and hard corals to see. 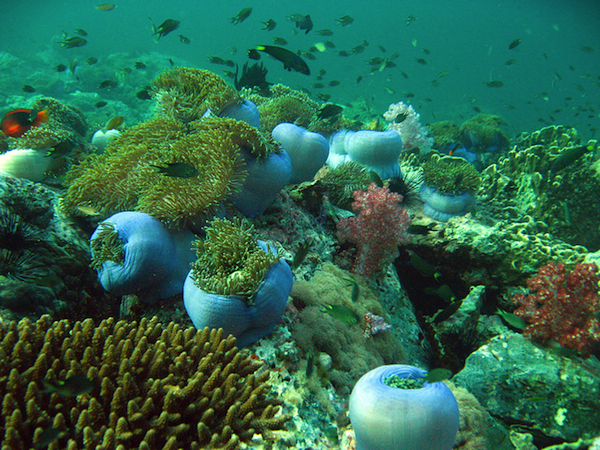 Marine life in Lipe island is in very good condition. 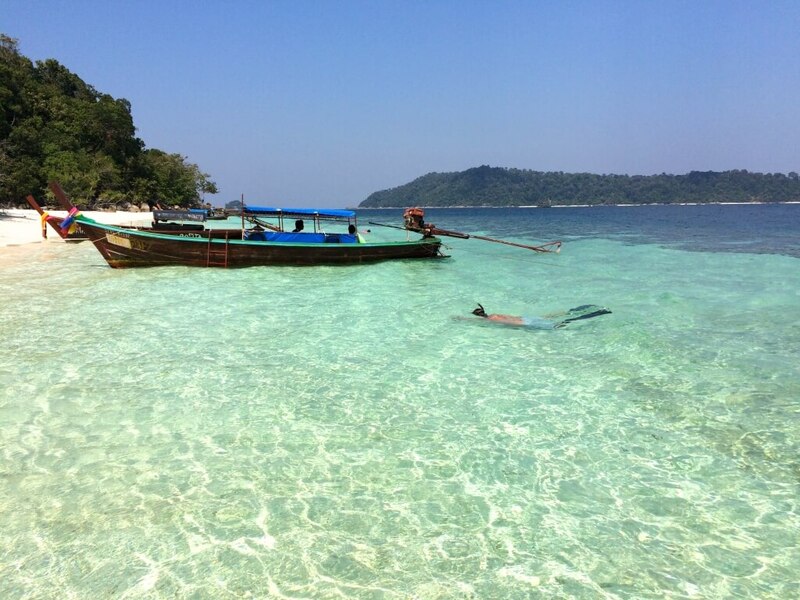 Considered the high season for tourism on Ko Lipe, the dry season features almost no rain and calm, flat seas. The driest period during this time runs from December through to February. The calm seas and sunny weather make this season especially amenable to boating, scuba diving, and swimming. The breeze blowing in from the northeast keeps pesky mosquitos away. During the rainy season, the monsoonal winds bring with them long periods of rain and rough seas. 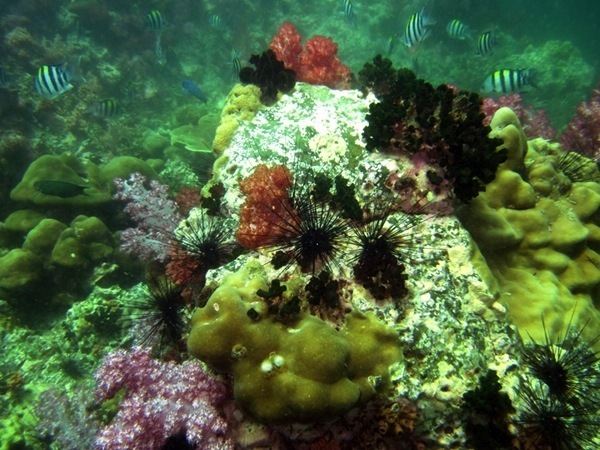 It is the volatile nature of the sea during this time that makes the rainy season the low season for tourism on Ko Lipe. On the island itself, the rain is mostly produced by brief thunderstorms lasting an hour or less. The wettest months are September and October. Also known as the ‘Green Season’, this is the time when rains come. Those on a tight budget can save up to 60% on accommodation because most hotels are giving discounts to travellers. There are many ways to reach Koh Lipe. 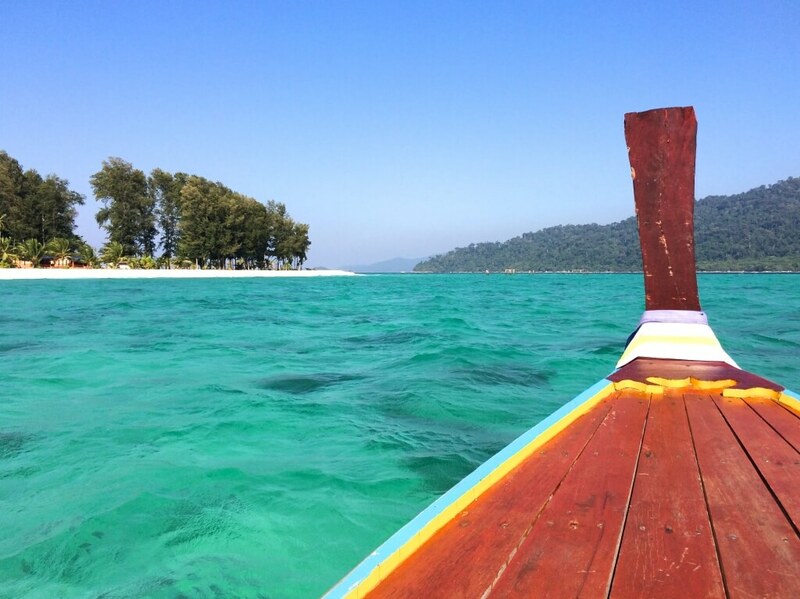 It is now possible to get to Koh Lipe from Phuket, Phi Phi or Langkawi on the same day! Pak Bara is the closest town with a pier to take you to Lipe on the Thai side. It is a very sleepy town with limited guesthouses and very few restaurants or bars, so if you do not wish to stay there you should plan so that your taxi arrives with plenty of time to spare for the boats. Pak Bara has the main pier for reaching Koh Lipe. Most speedboats run all year unless otherwise noted. The journey to Lipe from Pak Bara takes approx. 2 hours and is about 60km. 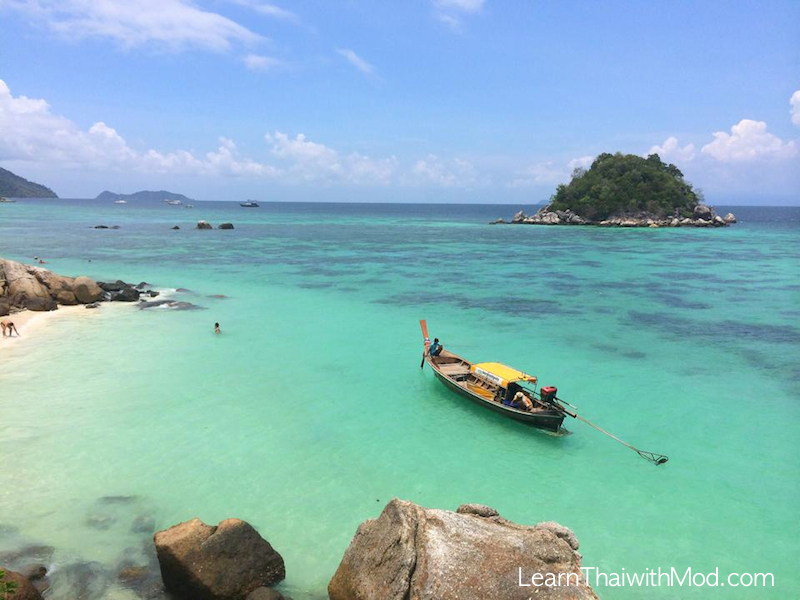 Nok Air offers two-daily flight+ferry services from Bangkok to Ko Lipe – fly with Nok Air from Bangkok to Trang with a convenient connection by coach to Had Yao pier. There, you then board a Hi-Speed ferry that is waiting to take you to Koh Lipe. This can be booked directly from their website. Air Asia offers an island transfer package that includes a flight from Bangkok to Hat Yai, a bus to Pak Bara, and a ferry to Ko Lipe. I flew from Don Mueang international airport in Bangkok with Air Asia airline to Hat Yai international airport. The journey takes 1.5 hours. Minibuses leave every hour (or when they are full) to Pak Bara. The ride to Pak Bara takes around 2 hours and costs around 180 THB per person. Lipe is at its best during January – February, the sky is clear, the sea colour is bright blue…we just had an amazing time and look forward to going back again. We hired a long tail boat to explore islands around Lipe. 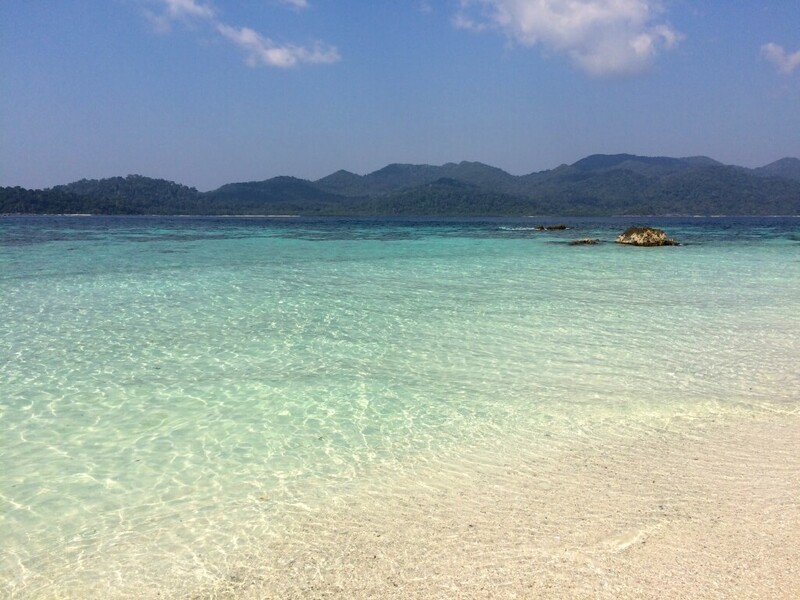 Crystal clear water at Koh Yang, so gorgeous! 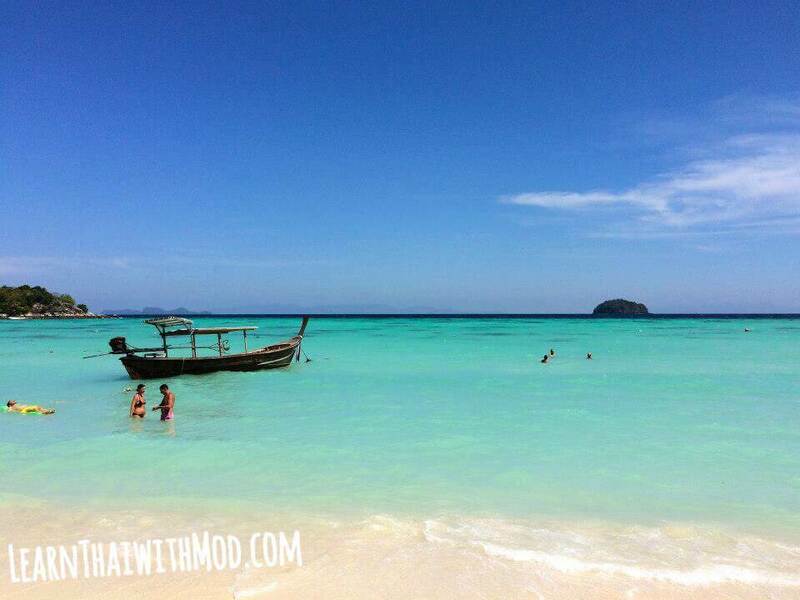 Hat Sai Khao, Koh Rawi (White Sand Beach, Rawi Island). We were there at 11 AM before other visitors, we had the whole island for ourselves! Monkey Bay on Rok-Loy Island: is the heaven of Sandy beach lovers. At serendipity resort, we love this view. Pear was going in the water. 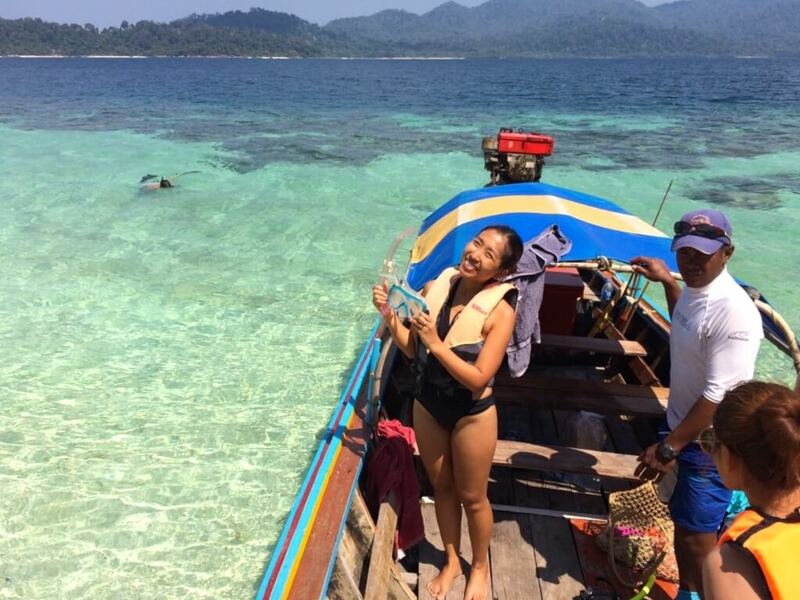 – It is a long journey to Lipe island so I recommend you to plan at least 4 days for this trip. – Lipe is suitable for visitors who would like to relax and enjoy the slow life. If you want a party this is not the right place for you. 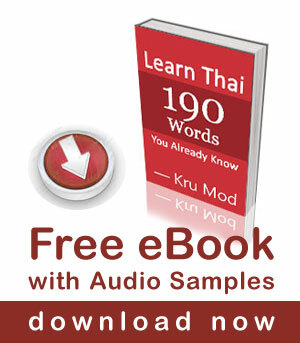 – There are no cars either motorbike for rent like other islands in Thailand. You can get around by foot or take a three-wheal motorcycle at 50 Baht per person per trip. Hey Mod, Ok Ok, I was Mark Twain, and I thought the joke was fun, because in Africa, and that’s where I use to live, we do this kinds of jokes, and we love them.. Plus I found you had given a like on a post about a yacht on twitter, that gave me the starting light to make that joke. Hey and why not… I am richer than Mark Twain anyway. Hmm lol I hate you , big time . Now you visit , I must change my plans , again . I agree , its a must see place . I could have a day or 3 extra there . Hmm . Khun Mod how do you find time to go to all these amazing places? This looks like paradise yet will it get spoilt like so many other beautiful places..? 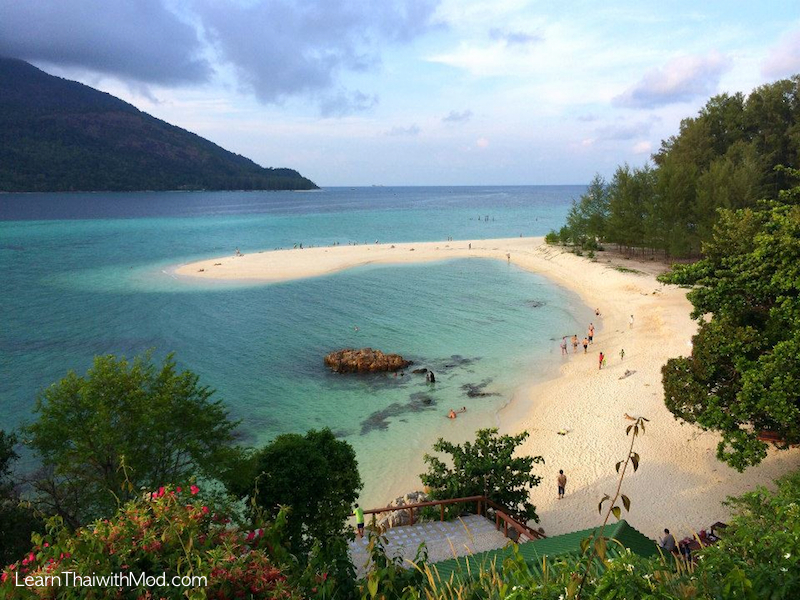 Is this beach: Koh Lipe is close to KOH – LARN ?